Lightning - 2013-228, originally uploaded by Judi FitzPatrick Studio. 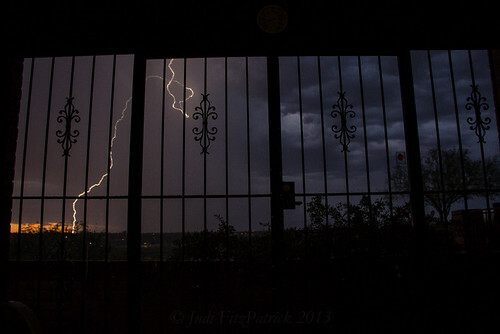 From my covered/screened back patio I lucked out and was able to capture this lightning tonight. As I write, the storm continues but alas, I have other things I must do, so no more attempts tonight.